Navigating the tides of change in the residential real estate market in the inner west suburbs of Brisbane is a challenging experience. That’s why it’s important to have a trusted real estate expert like Glynis Austin by your side. From the beginning, in the early 2000s, Glynis has built a career on being an exceptional, sophisticated agent who demands nothing less than excellence for her Clients. Her intuitive understanding of shifting market conditions has resulted in consistent success for her Clients in many different economic climates. 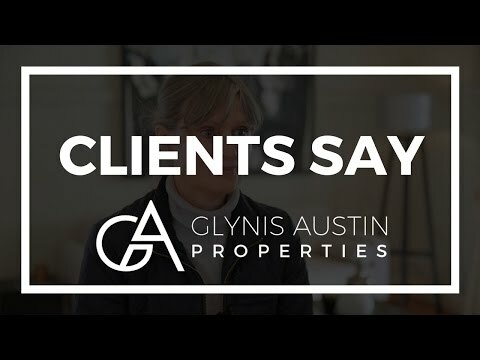 Glynis’ approach to every real estate transaction is innovative and specifically tailored to each client, and she is renowned for consistently achieving premium results for her clients. A highly acclaimed industry veteran and skilled negotiator, Glynis is acknowledged as the “seller’s agent,” and when you meet with her, you’ll realise why she’s considered to be one of the best of the best. From her technologically, savvy marketing to her focus on building genuine, lasting relationships, Glynis Austin and her team are dedicated to raising the standards of the modern Brisbane real estate agent. With Glynis, you can expect a truly customised experience – she understands that every client and their situation are unique, and everything from communication to marketing will be custom-fit to you. Empathetic and perceptive, she will listen to you and address your specific, stated needs. She will provide you with candid, straightforward advice, and you will know from your very first meeting that you will achieve your desired results. As her client, you will always be competitively positioned for your best advantage. Glynis and her team went above and beyond in assisting us with the sale of our home. As we were living interstate most of the campaign period, Glynis kept us well informed and made the difficult job of open houses extremely easy. Glynis' positive attitude and pro-active approach as well as her excellent negotiation skills make her and her team the ideal agent. Glynis Austin is confident, efficient and friendly. What more could you want in a real estate agent? Oh yeah, successful...she sold it in less than a week. My husband and I decided to contract Glynis as our real estate agent after meeting a number of other local agents. We had a figure in mind when listing our property and Glynis ultimately sold our house for a fantastic price. With Glynis' help, a solid contract was secured after a number of open houses and within a few weeks the house was sold. Glynis was very professional to work with. Always kept us up to date with the latest on our sale. Communication was very open. We had a good result in the time frames that we where working with. Would recommend Glynis and her team in the Paddington and surrounding areas. Selling your house can be stressful & I wanted to appoint an agent that would represent me to achieve the best possible results. I chose Glynis Austin & was not disappointed. She & her team were professional, it was like dealing with friends, they listened to your expectations & were honest with their appraisals & feedback. The sales campaign was well planned & organised & I had every confidence in following her recommendation, which resulted in a better than expected sale. Describes our experience with Glynis Austin Properties after the successful sale of our home. Glynis and her team were always professional, tenacious and dedicated to attaining the result we wished for. A great big thank you to you all. Glynis helped tremendously with recommending things to do or not do long before going to market so that when we eventually decided to sell the final preparation was not nearly as traumatic as I expected. The actual selling process was handled quickly, professionally and well and with a wonderful outcome by Glynis and her team. Glynis sold our property with a minimum of fuss and maximum results. Glynis knew who was genuinely interested in the house and focussed her attention on securing a great deal for all parties. We particularly valued her frank and useful feedback following open houses. She is tireless when perusing a final result and her tenacity achieves results. Glynis' attention to detail ensured we had a smooth and effortless settlement. We didn't have to take too long to decide to go with Glynis - we knew she was the right choice to sell our property. Glynis and her team are efficient, professional and honest. Glynis is an agent with high integrity and is exceptionally down to earth (she also has a wicked sense of humour). We trusted that she would find the right buyer for our property and fetch the price that we had hoped for, both goals were achieved. In the inner west suburbs of Brisbane, the name ‘Glynis Austin’ signifies real estate excellence. 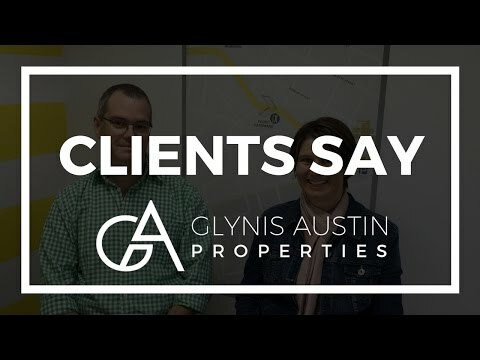 And that distinguished reputation is reflected in all the members of the Glynis Austin Properties team. Our dedication to delivering the highest level of service means you will experience consistent, valuable assistance throughout your real estate journey. 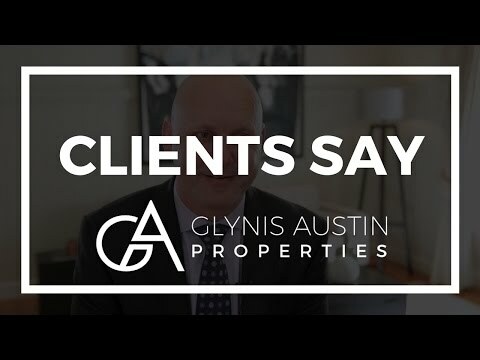 Always striving to go over and above a traditional real estate experience, the Glynis Austin Properties team believes in open, honest communication and delivering results. We are committed to not only meeting your expectations but exceeding them. Are you ready to talk to Glynis and her team about selling your house, or need more information about the current marketplace? Please fill in the form or call to speak with one of the team anytime. Whether selling, buying or investing in Paddington, Red Hill, Bardon, Milton, Auchenflower, Toowong, Spring Hill, Petrie Terrace, Ashgrove, Alderley, Taringa and the Brisbane CBD, you know you're in the right hands with the most trusted names in real estate, the Glynis Austin Properties team.